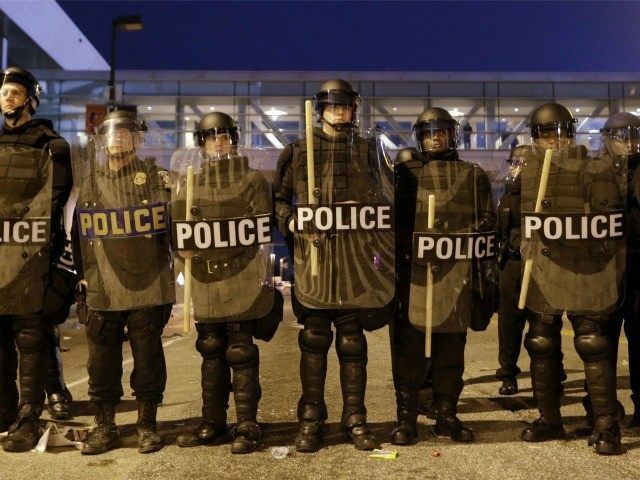 After Baltimore police reported a “credible threat” that some of the notorious gangs around the nation—including the Black Guerrilla Family, the Bloods, and the Crips—have ordered their members to target officers, various police departments are taking steps to protect their officers. The Baltimore Police Department / Criminal Intelligence Unit has received credible information that members of various gangs including the Black Guerilla Family, Bloods, and Crips have entered into a partnership to “take-out” law enforcement officers. This is a credible threat. Law enforcement agencies should take appropriate precautions to ensure the safety of their officers. Notification will be sent via NLETS. Further information will be sent through appropriate channels. Media is requested to distribute this information to the public and law enforcement nationwide. In July 2014, the Bloods vowed to avenge the death of a cop-killer who was shot by police by targeting officers stationed on the Pulaski Skyway, saying they were “sitting ducks” at a “fixed post.” They had already promised to kill Jersey City police officers over the shooting. State Police sent out a memo telling police to take the threats seriously. The latest protests were triggered by the death of Freddie Gray, who was arrested for possession of a switchblade and later died of spinal injuries after he was arrested.